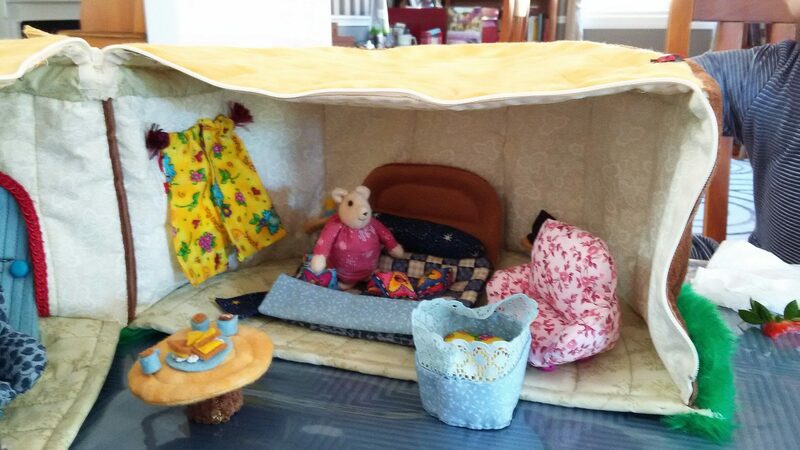 A friend of ours made this toy mouse house for her niece. I don’t know how long it took her but it is simply gorgeous. (just look at those tiny teacups and sandwiches!) 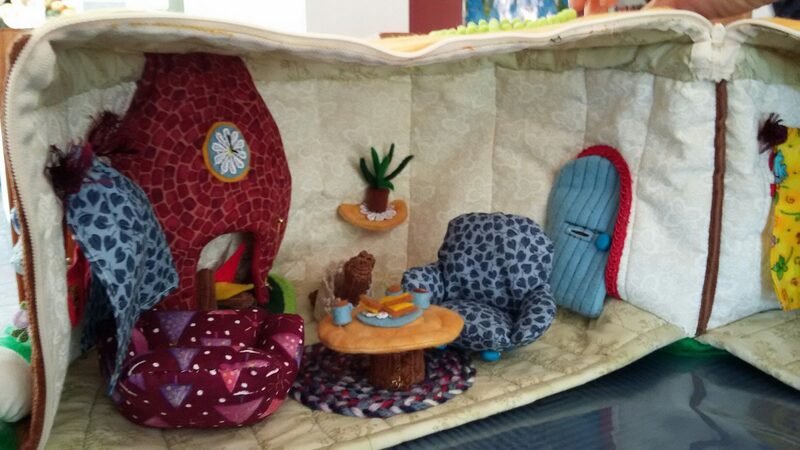 It looks like the ‘comfiest’ house ever. I just wished I had taken better photos! 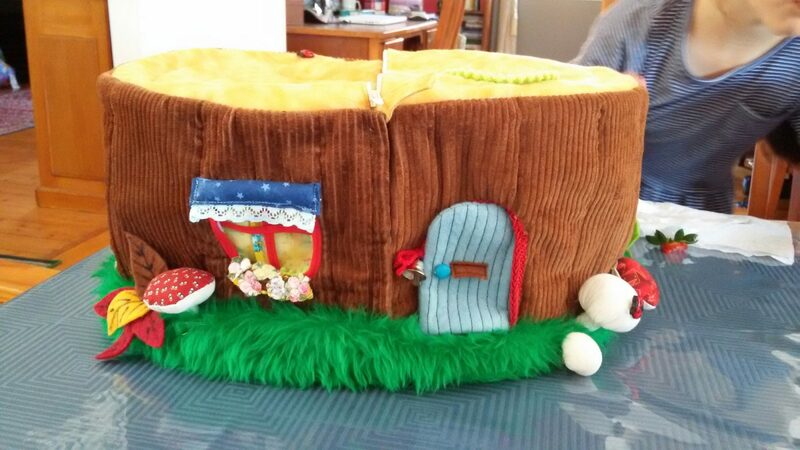 I can’t think of anything else that would suit this weeks photo theme better than this handmade mouse house. hi Rhonda, it certainly is. I was gobsmacked just looking at it. Thanks for your comment. That is some creative work…wow. Beautifully done. Thank you! I forget sometimes in this world of technology with gadgets and gizmos how creative work like this made with your hands can still inspire and impress. She is amazing. That is for sure, I gave the link to another blog friend to come and look. Will not do that for tech stuff. What fun! I think your photos did it justice. 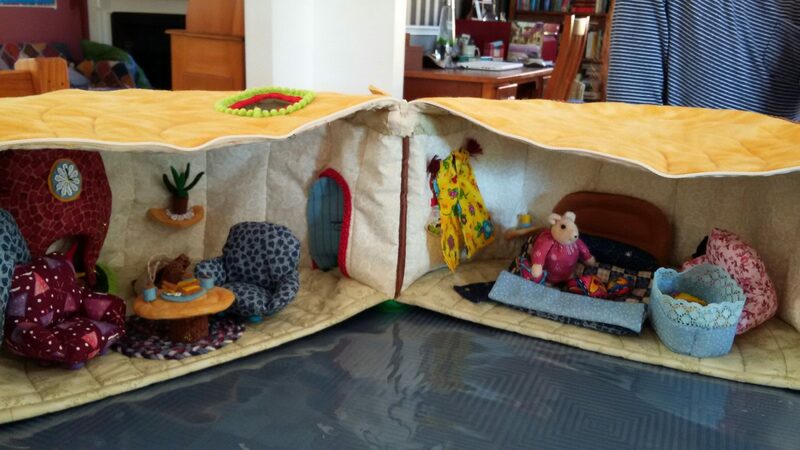 Wish we all had a chance to play with the mouse house!